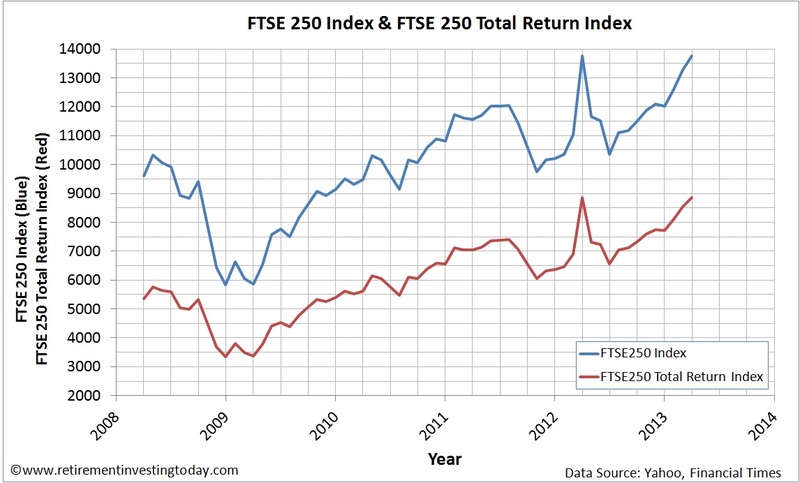 There are many UK stock market Indices, each of which is trying to measure something different. The one mostly reported by the mainstream media is the FTSE 100 which is also the Index we regularly use to value the UK stock market. This week I was looking to dive a bit deeper into some of these other UK Indices to conduct some more detailed analysis. I trawled the internet for datasets but surprisingly, given the sheer amount of financial data freely available online, I came up blank for sensible datasets. I therefore had to put my more detailed analysis on hold and spend a number of hours reconstructing a number of FTSE UK indices. While I haven’t conducted a large amount of analysis yet I thought it was worth sharing the data as it will form a basis for a number of pieces of analysis I intend to do going forward. 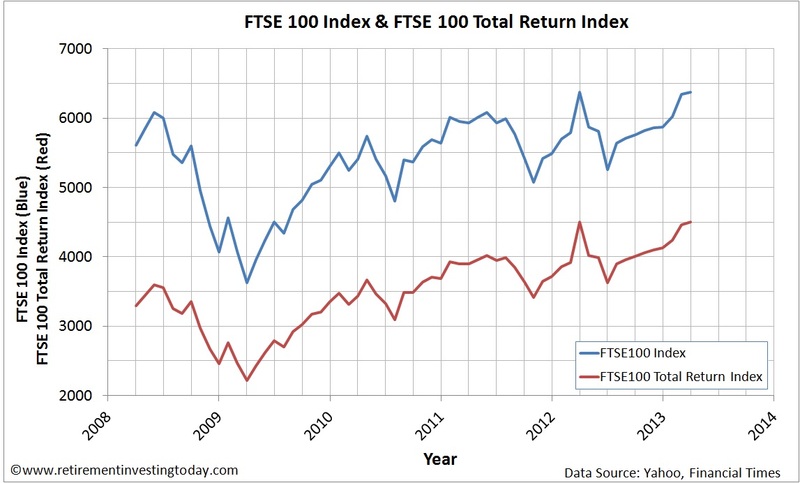 The FTSE100 Index which consists of the 100 largest UK public companies. These 100 companies make up about 81% of the UK market. 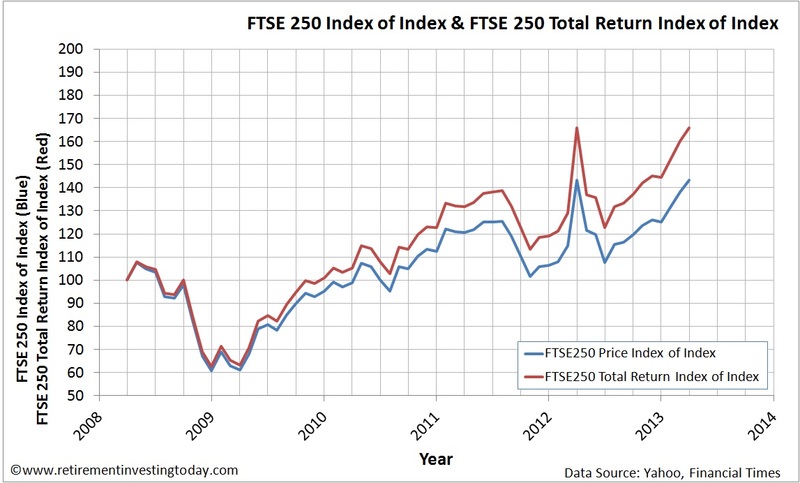 The FTSE250 Index which is the next 250 largest companies after the FTSE100. These 250 companies make up about 15% of the UK market. 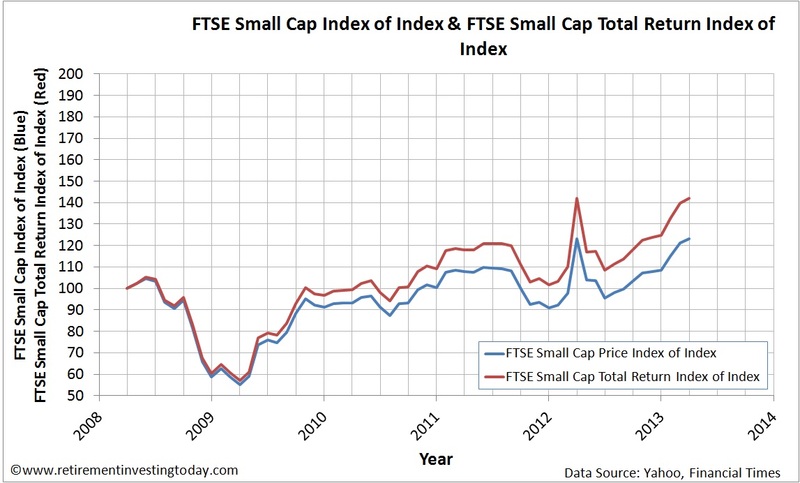 The FTSE Small Cap Index contains smaller companies outside of the FTSE100 and FTSE250. These companies make up about 2% of the UK market. 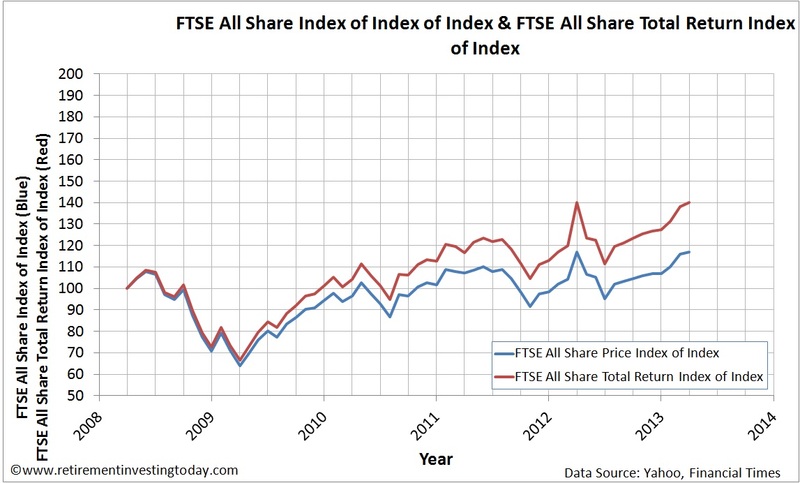 The FTSE All Share Index which is a combination of the FTSE100, FTSE250 and FTSE Small Cap Indices. It therefore contains about 98% of the UK market. 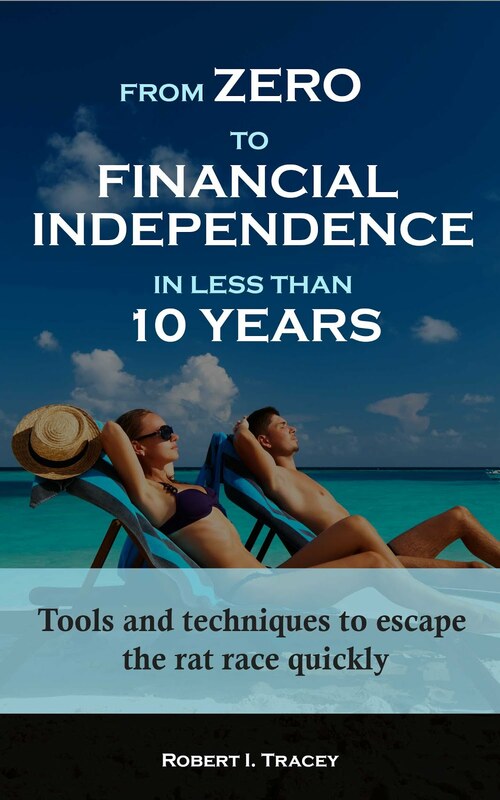 The Price Index will allow you to calculate the annualised Capital Gains that you could have achieved, after expenses, if you had bought a tracker fund or ETF and it tracked the index well. By then calculating the annualised gain from the Total Return Index and subtracting the Price Index annualised Capital Gain we can then calculate the additional annual return that could have been gained by that same fund or ETF through reinvested dividends. I intend to run this analysis in an upcoming post as this is one reason why I was looking for the data in the first instance. 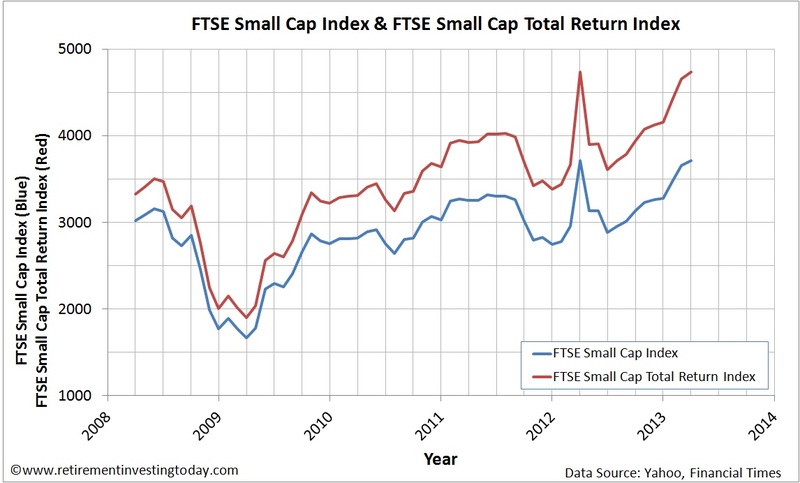 Charts for the FTSE100, FTSE250, FTSE Small Cap and FTSE All Share Price and Total Return Indices can be seen below. These take the value of the respective Index on the first possible investment day of each month. I like to look at things graphically and while the above charts are interesting they don’t help me to understand the benefit of reinvesting dividends. To get this I’ve created an Index of the Indices. This is done by dividing the Index value at each date of interest by the March 2008 Index value which is then multiplied by 100. The gap between the two lines on each chart then gives a visual indication of the benefit that reinvesting dividends gives. These are shown below for each Index. 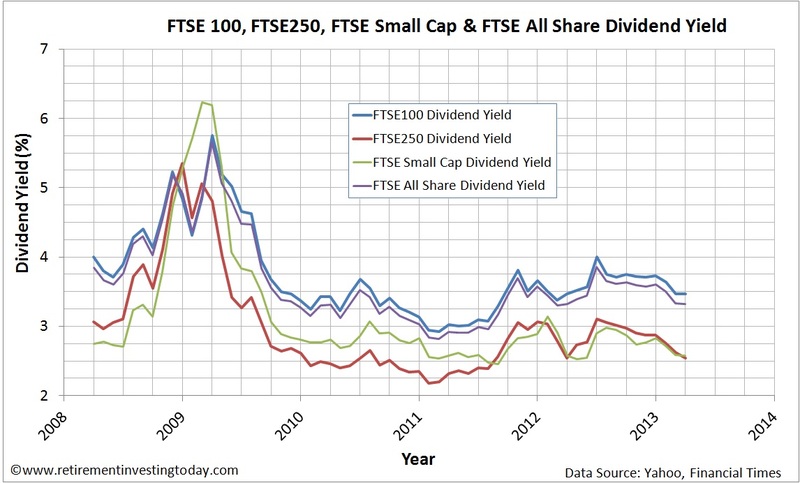 The Dividend Yield of the FTSE100, FTSE250, FTSE Small Cap and FTSE All Share Indices. This is shown in the chart below and is calculated by taking the declared dividends of the Index constituents and then dividing by the market capitalisation of the index constituents. The Dividend Cover of each Index which gives an indication of how able the constituents of each Index can continue to make current dividend payments from current earnings. 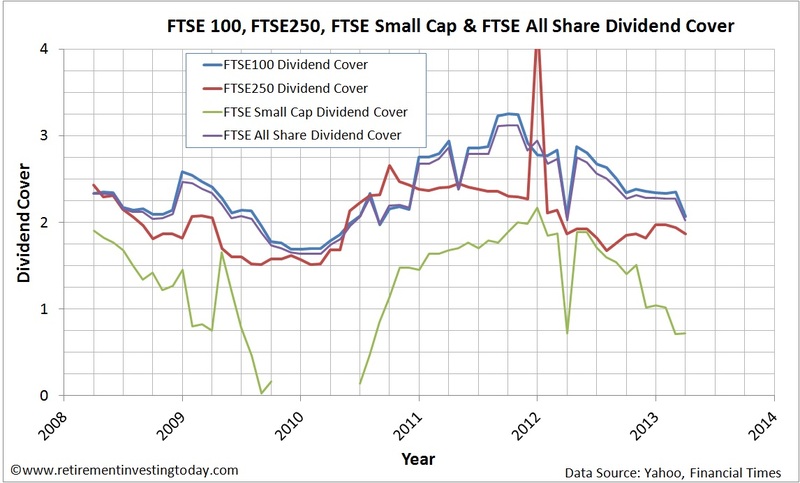 The Dividend Cover for the FTSE100, FTSE250, FTSE Small Cap and FTSE All Share Indices shown in the chart below are calculated by taking Actual Earnings and dividing by Actual Dividends. This means a bigger number, should in theory, give higher confidence that dividend payments can be met. The Price-Earnings Ratio (PE Ratio or P/E Ratio) of each Index is a valuation metric. While I prefer to use the cyclically adjusted PE Ratio, PE Ratios are nonetheless another useful metric that can be used to judge potential valuation. 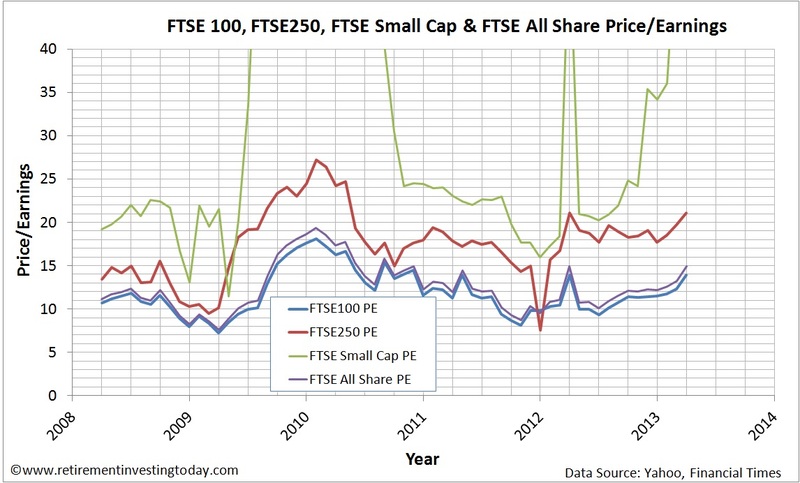 The Price-Eearnings Ratio for the FTSE100, FTSE250, FTSE Small Cap and FTSE All Share Indices shown in the chart below are calculated by taking the market value of the Index constituents and then dividing by the total net earnings of the Index constituents. It’s been a very laborious task to build these datasets but they should yield some interesting analysis going forward. I'm really grateful that you are doing this work. Is there any chance that your dataset will be extended further back in time? Also, can you add mean and median values for your PE10 charts? 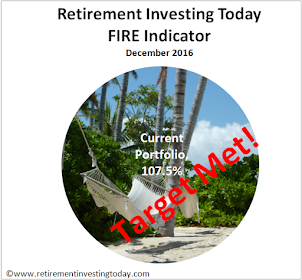 I ask because I currently use U.S. PE10 as part of my Market Level Asset Allocation strategy, a tactical strategy. 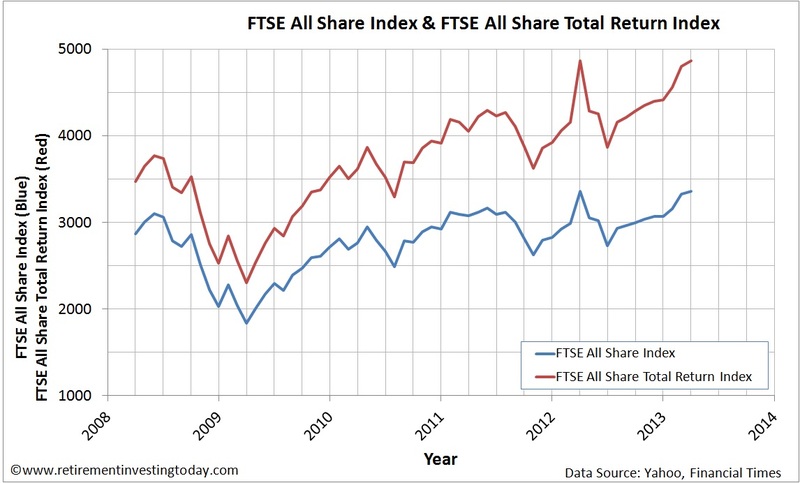 I would like to start using your FTSE PE10 charts for further investigating allocation strategies. It's been a struggle to even get the FTSE 250, Small Cap and All Share back 5 years to the level presented. I'm out of options for getting older data. Do you know of a data source? 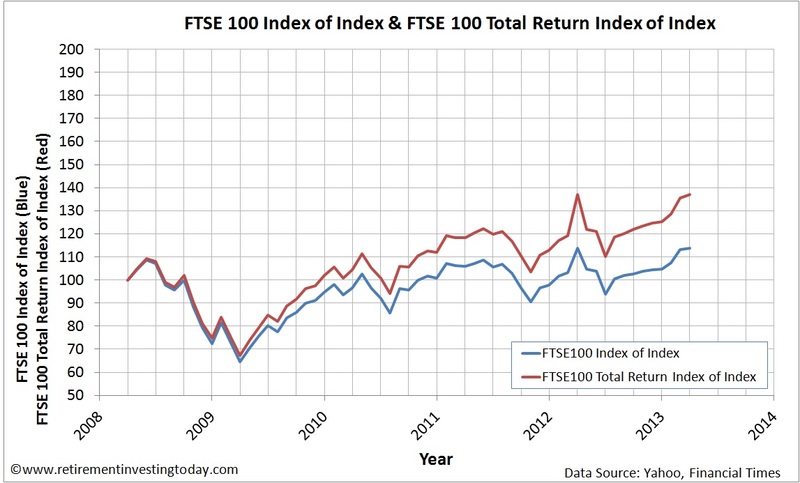 My FTSE 100 dataset, which I use for the PE10 analysis, now goes back to 1993 but again I've struggled to extend this. Can you please clarify what you mean by add mean and median values for PE10 charts? I ask because these are stated during every review within the body of each post. Oops...I missed the mean and median in the posts. Sorry about that. Unfortunately, I don't know of any other data sources, but I assume that academia must have something.